Literary classic Pride and Prejudice is this year’s senior school production and will be performed during two evenings in July. 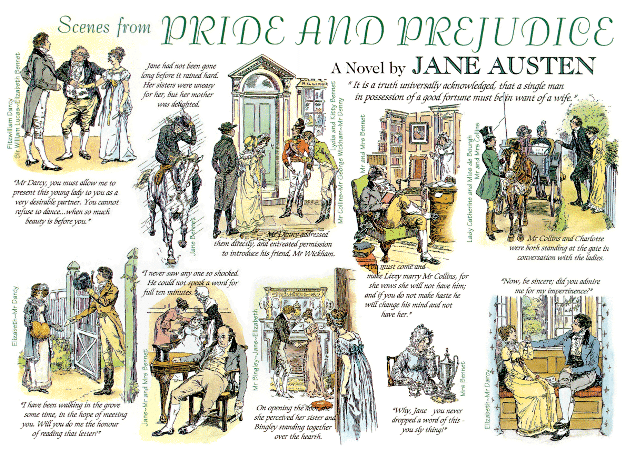 Pupils will stage Jane Austen’s novel of manners on Tuesday, 7th and Wednesday, 8th July. Tickets will be available after half term from English and drama teacher Miss Mahmood, who is directing the play. The story, first published in 1813, follows the main character, Elizabeth Bennet, as she deals with issues of manners, upbringing, morality, education, and marriage in the society of the landed gentry of the British Regency. Elizabeth will be played by Alex and her true love, Mr Darcy, by Eamon. Rehearsals are well under way, with the cast working hard to learn their lines and polish their performance.